If you ever find yourself in Ann Arbor, Michigan, check out this amazing adventure, The Ann Arbor Hands On Museum. 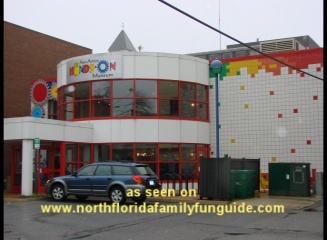 This is an award winning children's museum located in the heart of Ann Arbor, Michigan. It has 4 stories of interactive exhibits for you and your family to explore! There are so many different concepts I have never seen before, and you can tell great care and creativity were used to teach kids new ideas in science. Bryan loved Dr. Bones, who pedaled his bicycle next to Bryan's bicycle! He also loved the step in bubble maker, the dance wall, the weather tv station, and the build your own muffler!